A landscaping project that involves a major facelift can be quite extensive, but it always results in a gorgeous outcome. Similarly, adding a waterfall, outdoor firepit, grill island, or patio through a hardscaping project can be a large decision, but it is definitely worth it. At Hutcheson Horticultural Company, we are proud to work with our clients in offering expert design and installation as well as flexible payment options for these projects. We realize that many of our clients like to have options and flexibility when it comes to how their projects are paid for. For this reason we are proud to accept cash, checks, and credit cards including Visa, American Express, and MasterCard and a Wells Fargo Outdoor Solutions Credit Card. We are associated with Wells Fargo Financial National Bank and the Outdoor Solutions Credit Card to make payment options and backyard dreams reachable. This card allows for convenient monthly payments and easy online account management. In allowing for payment flexibility through all of our payment options, we know that our clients will be able to enjoy the perks of the landscape and hardscape that they have always dreamed of. Hutcheson Horticultural is your Georgia Green Industry Association landscaper. 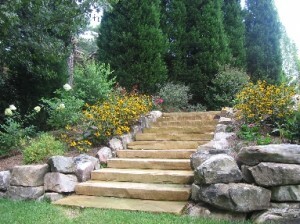 Contact us to schedule a consultation for your landscaping and hardscaping needs in Woodstock, Georgia and the surrounding metro Atlanta area. We are happy to work with you whether your project is big or small, and no matter which way you choose to finance your project.